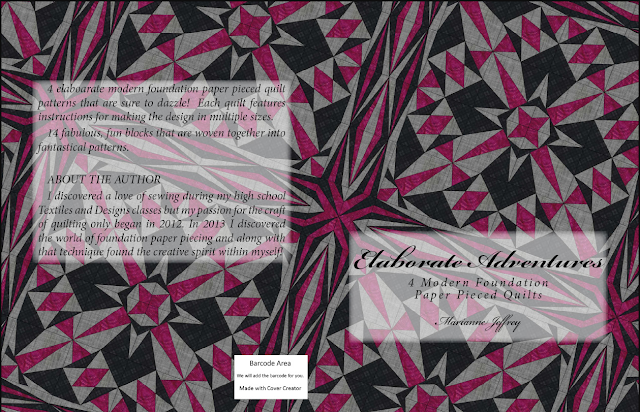 Once in a while I design a quilt that just screams to be cover art on my next book! Yesterday I designed this pattern Elaborate Adventures quilt and decided to combine it with 3 other elaborate designs in one book. I am LOVING this cover, maybe my favorite yet!